A hashtag is a keyword or phrase (without spaces) that contains the # symbol. 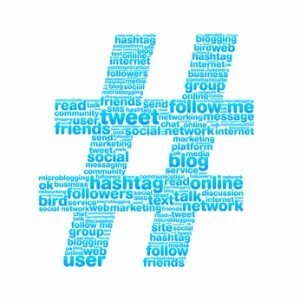 Brands tend to use hashtags to either join a conversation around a particular topic or create a branded community. For your brand to trend, it should be targeted at an audience. Unless you’re a widely recognised brand with a cool image that inherently makes users want to be associated with your product/service you may want to leave the brand-name heavy hashtag concept alone. Let Kiote Services create a hashtag that makes users want to incorporate it into their daily posts. Before Kiote Services selects a hashtag for your brand, we flood your feed with great photos from your brand content mix. When users see that you are promoting a hashtag they will check to see what sort of content is associated with it and most likely they may adopt it themselves. If the content is appealing to them and reflects their interests they will be more likely to use it. If they feel that it is trending, or will begin to trend, then they will jump on board. At Kiote Services, we will develop an effective employee advocacy programme around your hashtag. Every member of our team knows the importance of the brand hashtag concept. If users see that only you and you alone are using the hashtag they will not adopt it. However, when interns, staff, consultants, and any other individuals connected with the promotion of your business start using it in their own social communications you immediately enhance the validity of the hashtag. Once this occurs anyone checking out the hashtag will see that others are using it and will be more likely to jump on board, hoping to be among the few “in the know” early adopters. Kiote Services will help you display your brand on all social media platforms and posts via plug-ins on your website with your newly branded hashtag. We will make the message clear on your home and contact pages. Display the hashtag prominently on all of your social networks, including the ones where hashtags are not as commonly used (Facebook, Twitter, etc…) because users often have their accounts connected. Kiote Services will help grow your brand hashtags by promoting them offline. We do this promotion on storefront windows, on print media, within radio ads, event banners, t-shirts, and all associated brand swag. Include the promotion of your brand hashtag on all of your offline marketing materials to encourage clients, customers, attendees, and passer-byes to start using it. The most effective way to launch a successful brand hashtag campaign is to attach a contest/promotion to it, one that encourages users to adopt it when posting applicable content. 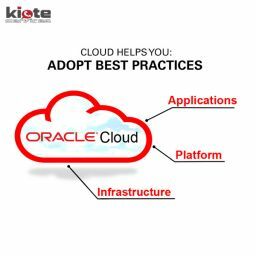 At Kiote Services we will Inform users that when they post relevant content using your branded hashtag that they will be entered into a draw to win something and/or automatically receive a discount. Are you looking at getting the right attention your company needs? Look no more, it’s right here. At Kiote Services we can help you grow your customer base & improve your brand through our Social Media Advertising. With our skilled professionals to assist your business, we will meet and exceed your expectations. At Kiote Services, we offer greatness.